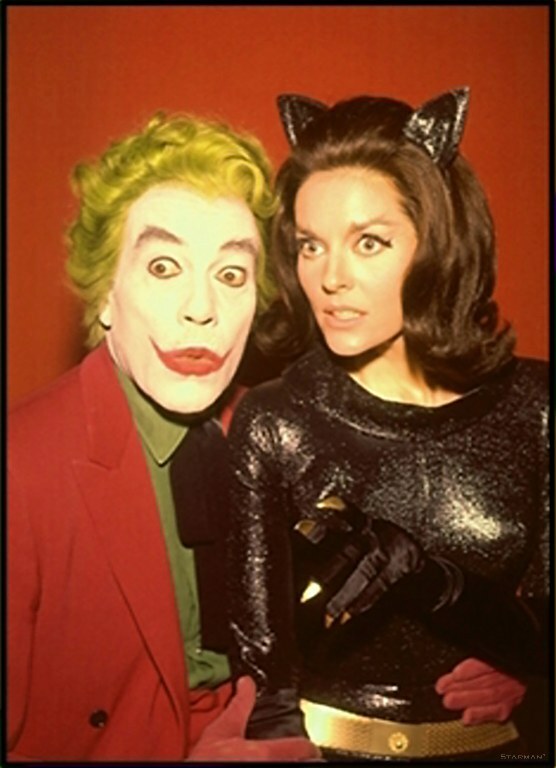 Cesar Romero as the Joker and Lee Meriwether as Catwoman/Miss Kitka (remember, Jul-Newms was washing her hair, so a former Miss America stepped in as kitteh-lady) in the 1966 film version of Batman. Dearest and weirdest old friendohs with common interests — they are a Thing! Ghost post; I’m pubbing it up with the Cappy right now. Woohoo! This entry was posted on January 6, 2010 at 6:50 pm and is filed under batman, Catwoman, comics, Daily Batman, Friendohs, It happens, movies, Patron saints, photography, Pictures, Self-audit, Unlikely G's, Woman Warriors, Yucky Love Stuff. You can follow any responses to this entry through the RSS 2.0 feed. You can leave a response, or trackback from your own site. Thanks! That’s Yvonne Craig as Batgirl — super cool!